This enchanting, mountain cabin sits immersed in pine trees and is 20 minutes from the northern entrance to Kings Canyon National Park, California. 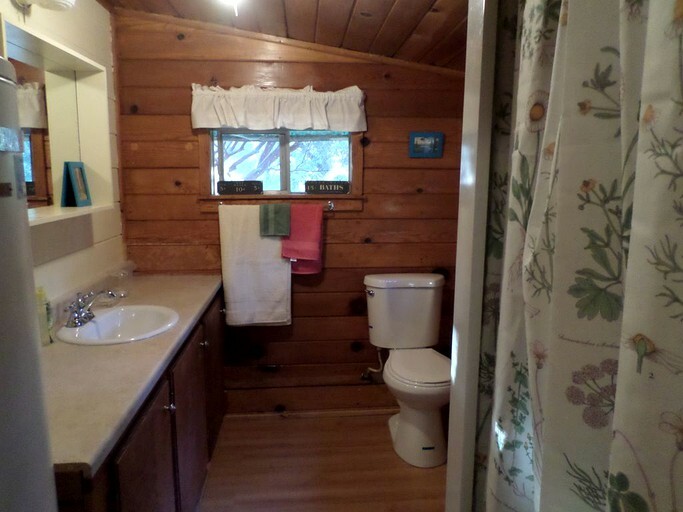 The cabin can comfortably accommodate up to eight guests and includes two bedrooms and one bathroom with a shower. The master bedroom has a separate entrance and comes with a queen-size bed and a chest of drawers for guests to store their belongings. 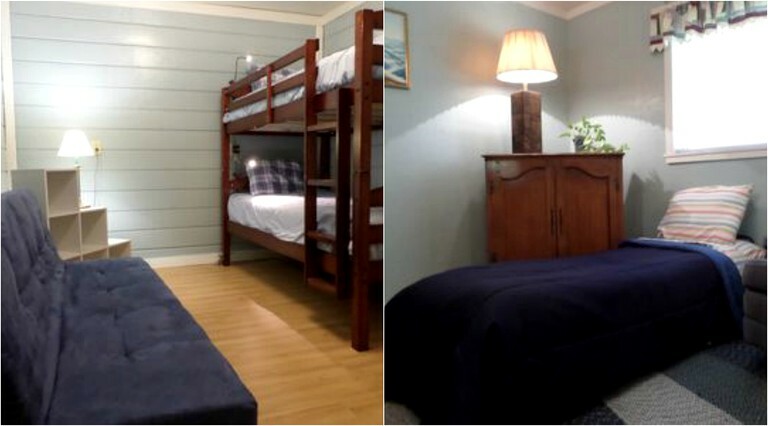 The second bedroom is furnished with a twin bunk bed and a sleeper sofa that can accommodate one or two children. The living room also offers a sleeper sofa that makes into a double bed and a hassock that makes into a twin bed to accommodate additional guests. Guests can cater for themselves throughout their stay with a full kitchen that includes a refrigerator, an oven, a stove, a microwave, a toaster, a coffee machine, dishes, utensils, and basic pantry items. An evening meal can be shared around the six-person dining table or on the spacious porch, which comes with an outdoor dining table to seat up to eight guests. The porch provides plenty of seating space, which makes the perfect spot to relax and feel truly immersed in nature. 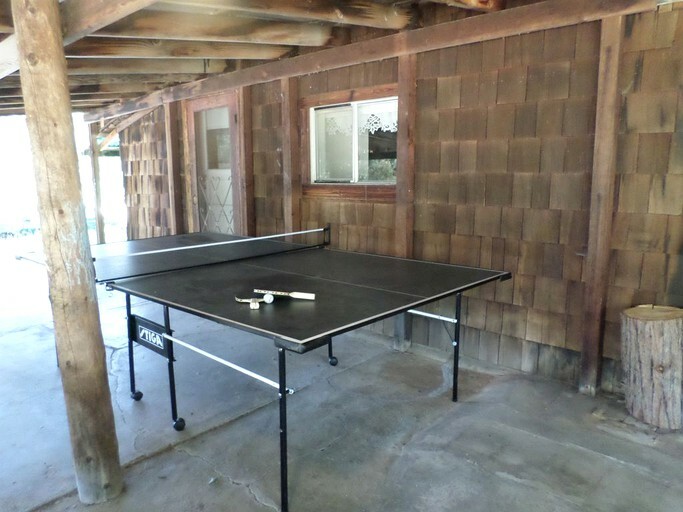 The porch boasts a table tennis table and a dart board so guests never get bored. 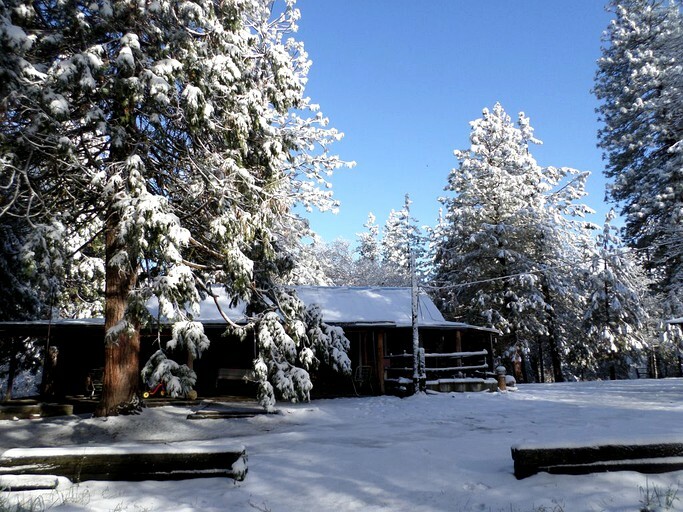 This cabin is about 20 minutes from the north entrance to Sequoia/Kings Canyon National Parks, and just 25 minutes to the Grants Grove Visitor Center, so it is ideally suited as a place to stay when visiting the parks. It can sleep eight people. There is a double bed in the back bedroom, connected to the middle room with a set of bunks and a small fold-out sofa bed. The living room has a hassock that opens up to be a twin bed and a large sofa bed that sleeps two comfortably. 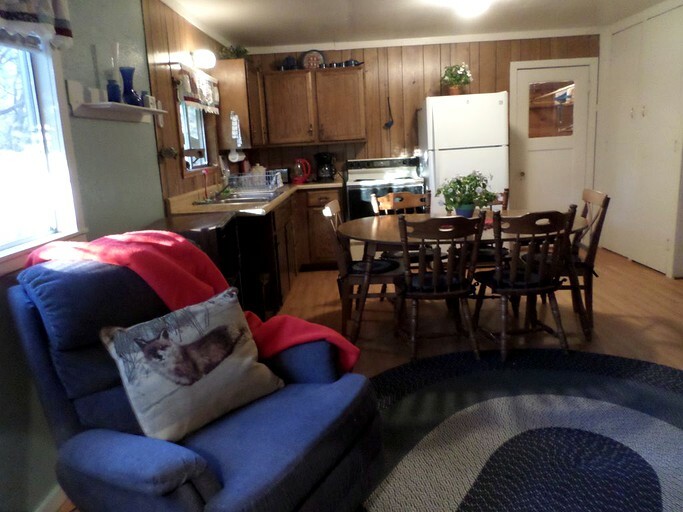 There is an internet connection, a DVD player, and a complete kitchen. There are no separate laundry facilities, but the hosts can do a couple of loads of laundry for guests. 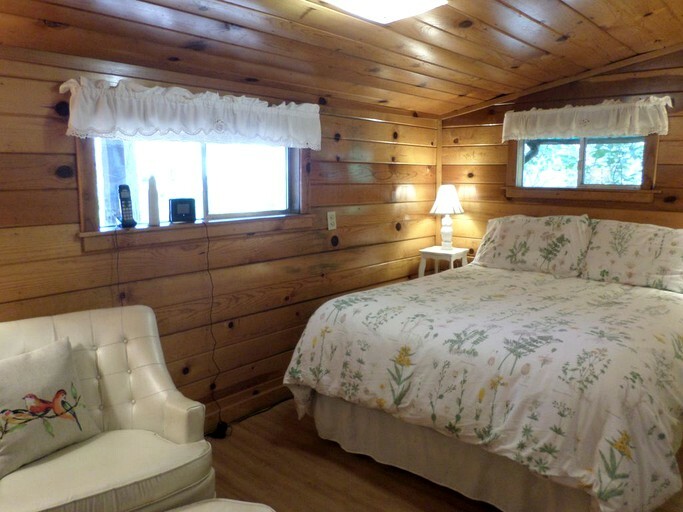 The cabin was built in 1938 and is authentic, with redwood shake siding, unfinished tree trunks supporting the porch, old-fashioned glass doorknobs, and lots of pine paneling. It has been completely remodeled, with all new floors (kid friendly vinyl plank that looks like wood) and new bathroom fixtures but it still has charming bits of the original cabin, such as blue speckle tinware, patchwork curtains, and an old barn on the property that was built much earlier. Staying in this cabin is like going back to a simpler time. 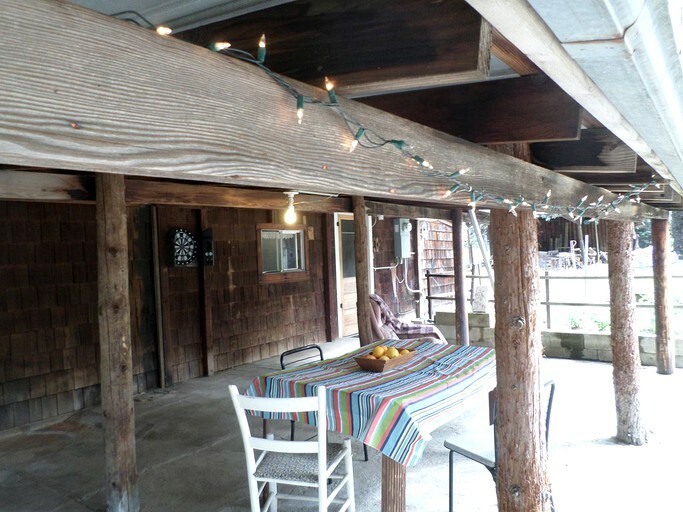 It is decorated in a way that is authentic to an old-time cabin in the mountains. Even the china, glasses, and kitchen tools are authentic to an earlier era. Guests will know they are in the mountains of California! The large, cool front porch is a great place to relax and listen to the frogs at night, also wonderful for soaking up kids energy with the ping pong table and darts. The hosts have a collection of board games in the cabin, and also a large monitor with a DVD player and a modest collection of DVD's the family will enjoy. The hosts sometimes have snow in the winter, from late December through March, which is fun for the kids. If they can't sled here they will be able to up in the parks! 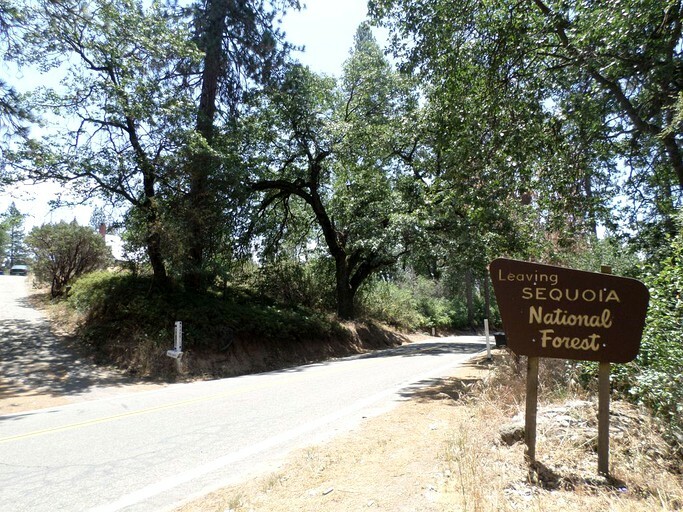 Guests are within easy reach of both the Kings Canyon and the Sequoia National Parks, located under 20 minutes away by car. 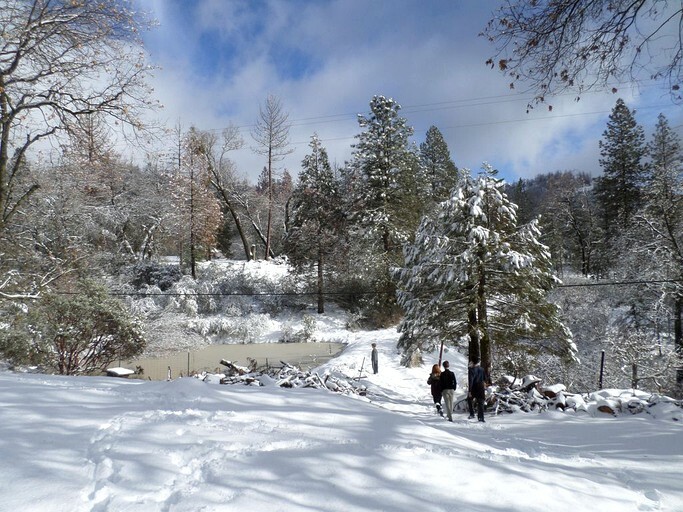 The park boasts sensational hiking opportunities, including the Cedar Grove, the Foothills, the Grant Grove, and the Mineral King Trails. Other popular activities include fishing, rock climbing, and horseback riding. 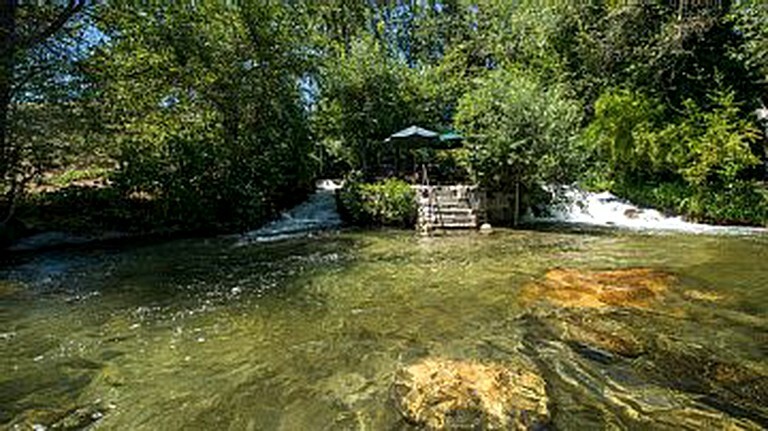 At Zumwalt Meadows, guests can take a refreshing dip in the river and relax on the small beach. Another must-do is a guided tour through the impressive Crystal Cave. In just a one-hour drive, guests can reach the spectacular Tokopah Falls, which is located in the Sequoia National Park and offers an exhilarating hike featuring impressive pine woods, magnificent granite canyon walls, and a scenic river. During the winter, the parks can also be explored by cross country skiing and excellent, ranger-guided snowshoe tours. 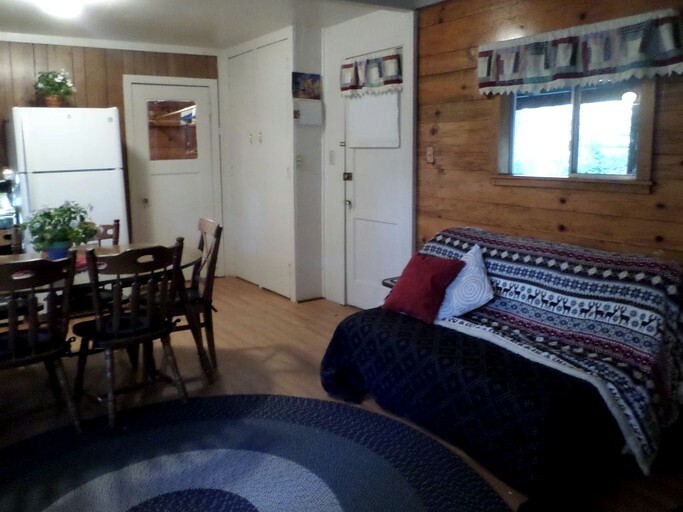 The maximum occupancy for the cabin is eight guests. Rates are based on two guests. Children are welcome and pets will be considered. Guests should note that there is an additional pet fee. Guests should also note that this is a non-smoking property.